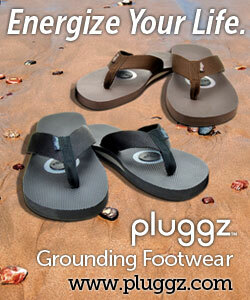 Most Important – Get Grounded with GROUNDING SHOES! MONKEY SAYS YOU NEED TO GET GROUNDED! Every chemical reaction and everything that happens in the body involves some kind of change in the distribution of electrons. Electrons can move in response to electrical current, to light, to sound, to magnetic forces – it all depends on the nature of the substances the electrons are associated with.